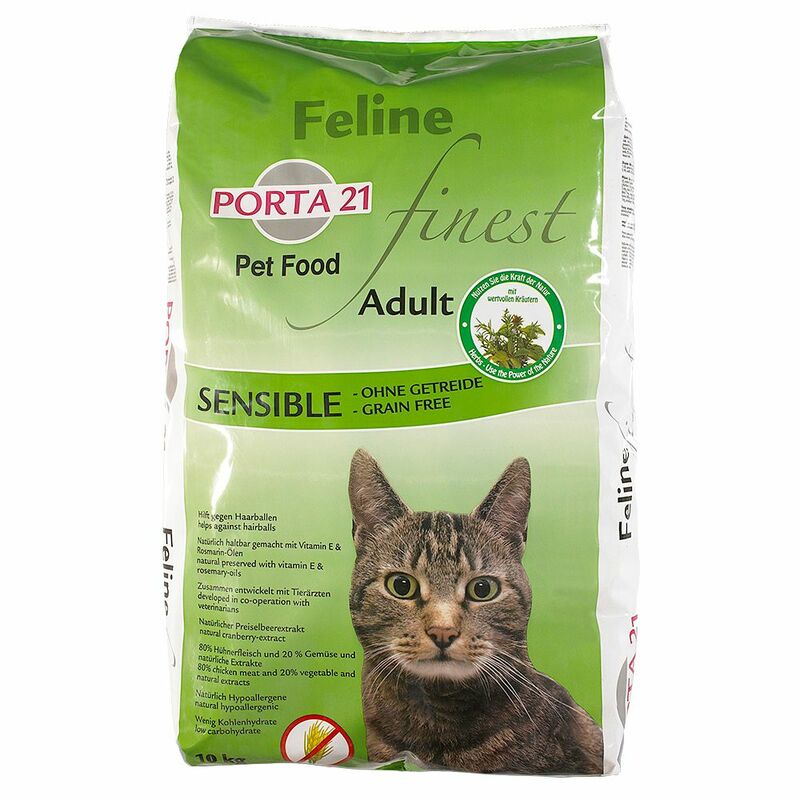 Porta 21 Feline Finest Sensible is a compete food for adult cats. This dry cat food is suitable for cats with allergies or for sensitive cats. The ingredients are similar to those your cat would eat in the wild. Feline Finest Sensible Grain Free does not use hard-to-digest grains such as wheat or corn and the low carbohydrate content reduces the risk of allergic reactions. Your cat can enjoy the natural taste of the food. Rich in animal proteins and vital amino acids from top quality vegetables. No colour additives or taste enhancers. Naturally preserved and enriched with Omega 3 and Omega 6 fatty acids.